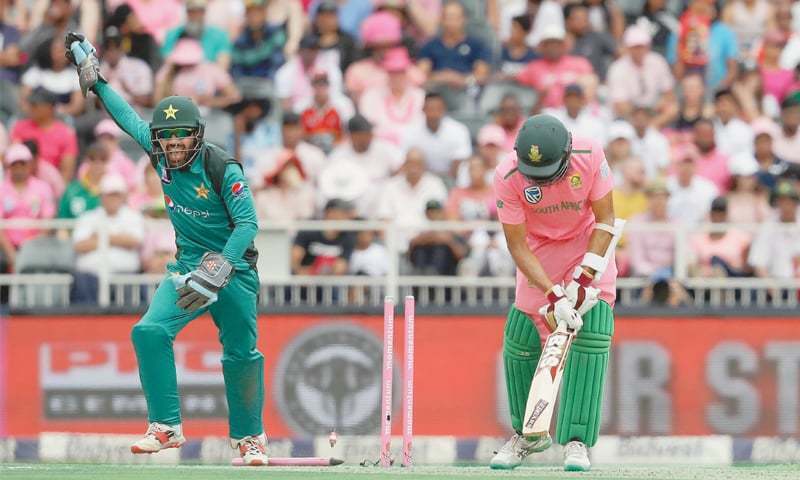 JOHANNESBURG: Pakistan shrugged off a four-match suspension imposed on captain Sarfraz Ahmed with a crushing eight-wicket win over South Africa in the fourth One-day Inter­national at the Wanderers Stadium on Sunday. Pakistan’s bowlers set up the win, bowling out South Africa for 164. Imam-ul-Haq made 71 before playing a loose shot when the scores were level as Pakistan cruised to victory with 18.3 overs to spare. Sarfraz’s four-match suspension meant that he would have been available for the final Twenty20 game of the tour but the Pakistan Cricket Board said it had been decided he will return home. Malik will captain Pakistan again in the decisive final ODI and the three-game T20 series. Mohammad Amir dismissed the dangerous David Miller before fellow left-arm fast bowler Usman Shinwari claimed four wickets in six balls. He finished with four for 35 after being recalled to the team and was named man of the match. Imam, the top scorer in the series, looked in control from the start of Pakistan’s reply. 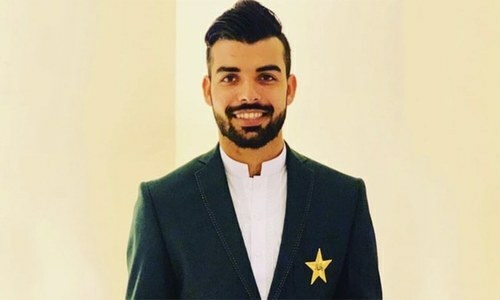 He and Fakhar Zaman (44) put on 70 for the first wicket before he was joined by the in-form Babar Azam (41 not out) for a 94-run partnership for the second wicket. FALL OF WKTS: 1-3, 2-18, 3-119, 4-130, 5-140, 6-156, 7-156, 8-156, 9-157. BOWLING: Usman 7-0-35-4 (1w), Shaheen 8-1-24-2 (3w), Amir 7-1-26-1 (1w), Imad 10-0-36-1, Shadab 9-0-42-2. FALL OF WKTS: 1-70, 2-164. BOWLING: Steyn 5-0-26-0 (1w), Hendricks 7-0-31-0 (2w), Rabada 5-0-29-0, Tahir 10-1-51-1 (2w), Phehlukwayo 2.3-0-17-1 (2w), Hendricks 2-0-13-0. 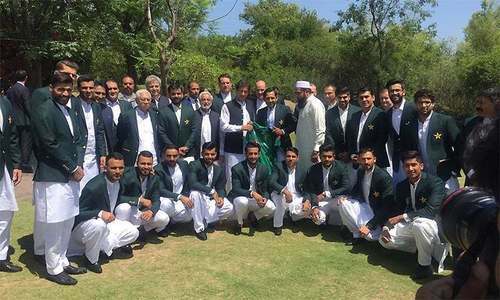 DID NOT BAT: Mohammad Hafeez, Shoaib Malik, Shadab Khan, Imad Wasim, Mohammad Amir, Usman Shinwari, Shaheen Shah Afridi. RESULT: Pakistan won by eight wickets.